1. Economic Outlook of Cyprus today – and what are the prospects for the country? Cyprus has developed a solid growth path, being among the top five Eurozone performers, reaching a remarkable growth rate of 3.9% in 2017, compared with the EU average of 2.5%. In the third quarter of 2018, Cyprus has reached the growth rate of 3.7% while the International Monetary Fund (IMF) has further upgraded its projections for 2019 and forecasts a growth rate of 4.2%. The strongest confirmation of Cyprus’ positive economic outlook though, comes from the consecutive upgrades from credit rating agencies, with the country dynamically re-entering investment grade within 2018. It is worth mentioning that the Global Finance Magazine “FDI’s Superstars 2018” ranked Cyprus 8th among 20th countries globally for FDI performance and appeal. 2. Which kinds of business / investment opportunities are there for Finnish companies in Cyprus? Cyprus offers great potential for investments in a variety of sectors. The island can offer much more than a “sun and sea” destination. As a business and academic center of excellence, hosting a world class maritime cluster, advancing strategic infrastructure projects, while exploring prospects arising from encouraging oil & gas discoveries, Cyprus definitely keeps investor interest upbeat. The island is now focusing at attracting companies from the ICT Sector. The launch of the new Digital Innovation Hub is part of Cyprus’ strategy to become one of Europe’s leaders in disruptive technology. The establishment of accelerators for innovative start-ups, the easy access to EU funds and more incentives that are currently underway, make Cyprus the ideal place for ICT companies to be based. There is already a number of leading multinational technology companies which have already established their operations in Cyprus. The country is now also aiming to encourage regional headquartering and increase the number of new and established companies which base their regional or global headquarters in the island, enjoying easy access to the EU and the MENA region and other high-growth markets surrounding the Mediterranean. We do see an increase of multinational companies wishing to explore alternative EU jurisdictions, especially in view of Brexit, as well as an increase of companies actually deciding on Cyprus being the best choice. 3. If a Finnish company decides to invest in Cyprus, what are the most important issues this enterprise must take into its consideration to succeed in the market? Cyprus is a small, market-driven, service-based economy which offers though, due to its geostrategic position, access to EU, MENA and Asian growth markets, thus allowing companies to establish a base of activities on the island and ‘unlocking’ the investment potential offered by an interconnected broader Mediterranean area. To succeed in today’s highly competitive times, a company needs all the support it can get. And in Cyprus, laws and regulations, systems and infrastructures are all constantly enhanced to ensure the best possible experience for investors and businesspeople worldwide. A straightforward regulatory regime and an attractive tax system, with fast, simplified procedures for business set up and operation, high caliber workforce availability and of course, life of the highest quality, offer international businesses grounds to invest, prosper and grow. 4. Which kind of assistance and which kinds of benefits there are in Cyprus for Finnish companies? Cyprus offers companies a unique value proposition that combines ease of doing business with daily life elements. The country’s geographical position in close proximity and easy access to major markets enables companies to use Cyprus as a regional hub. Cyprus has a simple and effective regulatory structure in place, as well as an attractive tax system, with a wide range of advantages, exemptions and deductions for both individuals and corporations and access to a broad network of Double Tax Treaties with more than 60 countries, including Finland. The island offers one of the lowest corporate tax rates in the European Union at 12.5%, and has a competitive IP regime while specific tax packages apply for innovative companies and investment funds. Also, With English widely spoken by a highly skilled workforce, cost-effective but quality business support services, Cyprus provides an ideal framework within to develop and excel. Last but not least, quality of life is of the highest standards and makes the island an ideal place not only to do business but also to live. Cyprus has its own dedicated national body responsible for attracting and facilitating foreign direct investment, Invest Cyprus, which is at the disposal of all potential and existing investors, always eager to offer any kinds of support throughout an investment cycle. 5. Please explain us how Cyprus has benefited from the free trade agreements? As a full EU member Cyprus enjoys partnership in a number of free trade agreements, stimulating relations, boosting economic development and fostering bilateral transactions. Free trade agreements open up new opportunities, allowing for increased in-country development and growth, FDI attraction, bilateral, regional and international cooperation. Most importantly, through the free trade agreements, companies have the opportunity to expand their network, enter into new markets, and overcome barriers related to unnecessary costs and complex procedures. 6. We know Cyprus as a great holiday destination for Finns. Please, tell us more about the tourist attractions and holiday resorts in your country? Cyprus has traditionally been an attractive touristic destination. During the months of January-July 2018, tourist arrivals have risen and recorded a 9.6% increase compared to the previous year. And this is not only due to the island’s undeniable natural beauty, blue flag beaches and the favorable Mediterranean climate; it is the result of a carefully planned strategy to enrich and diversify the island’s offering, in the aim of tackling seasonality and enhancing the visitor’s experience. 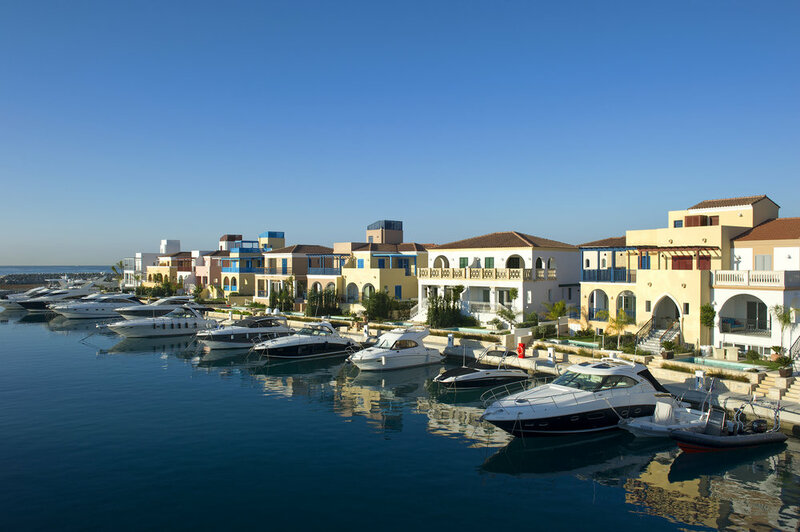 The country has also gained substantial investment into large infrastructure projects, such as luxurious marinas and resorts in all major cities, theme parks and golf courses as well as the development of the first integrated casino resort in EMEA region, an investment of €600 m by Melco Resorts & Entertainment Ltd, and is due to open in 2021. The new integrated casino is expected to bring significant benefits both short term and long term by creating 6000 jobs and bringing an additional number of 300,000 tourists per year. Cyprus’ sandy beaches have always been a key attraction for tourists, especially from countries with different climate conditions. In 2017, the EU’ s annual bathing water report ranked Cyprus in the top three as having excellent quality water for swimming among all the 28 members. Agro-tourism and sports tourism are gaining momentum, while medical tourism is also an area being developed as Cyprus could easily serve as an ideal rehabilitation center, offering high quality healthcare. Cyprus’ rich historical and cultural heritage is also a key element in attracting tourists, with archeological sites of different eras and civilizations scattered throughout the island.